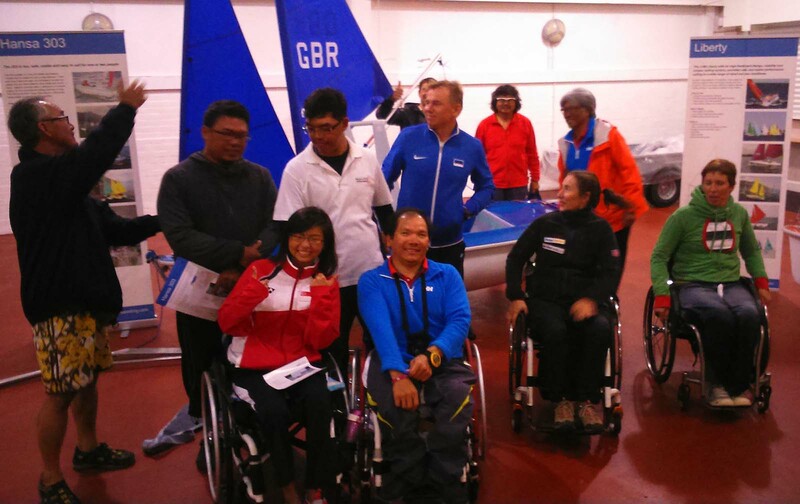 ISAF has held its inaugural Paralympic Development Program (PDP) clinic at the Weymouth & Portland National Sailing Academy in the UK from 17-21 August – and the Hansa Class was there. Sailors, coaches and administrators from seven nations attended – South Africa, Portugal, Hong Kong, Singapore, the Czech Republic, China & Estonia. • Enable ISAF member nations involved in the program to develop sustainable grass roots ‘participation’ oriented disabled sailing activity to feed ‘performance’ programs. 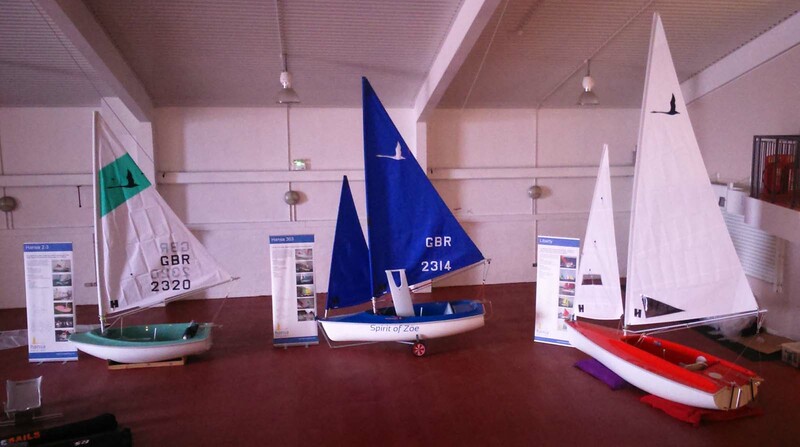 The Hansa Class was invited in order for the participants to be able to talk to a class representative as well as look at the boats and have a test sail. This was conducted on Wednesday 19th August and was followed by a discussion & presentation session titled ‘Developing National Equipment Pathways’. With only a few days prior warning, IHCA’s Vice President Development Akko van der Veen, with the support of HCA(UK) President Marcus Frith and UK Hansa Sailing Distributor Steve Sawford, was able to arrange a visit to WPNSA along with providing a number of boats. It was a great opportunity to promote the boats, the class competition program and the association to sailors, coaches and administrators from emerging sailing nations. It was also good to support the ISAF staff as they take their first steps with this new initiative.